A school at the heart of a community, with a supportive and happy learning environment. At Two Moors Primary School we value the individuality of all of our children and want each child to achieve the very best that he or she can. We aim to provide a happy, stimulating and healthy environment in order to deliver a broad and balanced education for all. I am really proud of our school and the staff work extremely hard to make learning fun and exciting. We work as a very close team and strive to involve parents as much as possible in their child’s learning. 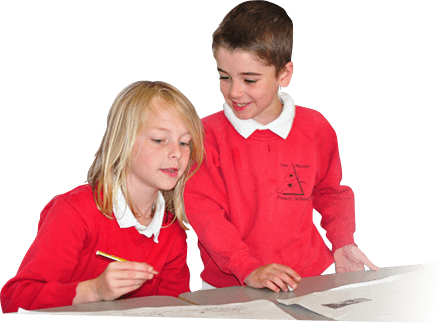 Our Governing Body plays an essential role in the development and success of the school. We are working to extend our partnership with parents and our Parent Teacher & Friends Association (PTFA) further enriches the range of social events for children and parents and raises funds for additional equipment. On our website we aim to give you information about the school, the curriculum taught, our future events and other general information which may be of interest to parents and pupils. We recognise our moral and statutory responsibility to safeguard and promote the welfare of all pupils. We endeavour to provide a safe and welcoming environment where children are respected and valued. We are alert to the signs of abuse and neglect and follow our procedures to ensure that children receive effective support, protection and justice. The Designated Safeguarding Lead (DSL) is Mr. R. Boraston. For a copy of the School’s Child Protection and Safeguarding Policy <[click here]>. The procedures contained in this policy apply to all staff and governors and are consistent with those of the Devon Safeguarding Children Board (DSCB). Thank you for the maths evening. I really enjoyed it. My child has progressed well and the teachers are great.